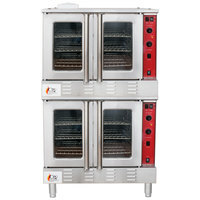 Cook foods consistently and save time with a commercial convection oven! 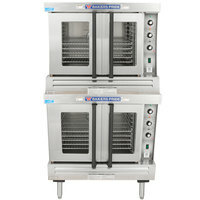 These restaurant ovens have a fan that actively circulates hot air around food in the oven cavity to create a uniform and consistent temperature. 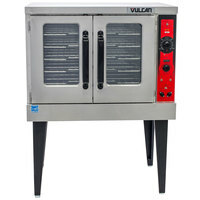 This design reduces cold air space around food, making it cook faster than foods in standard radiant ovens. 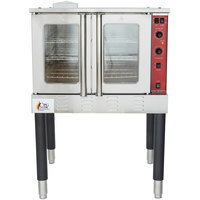 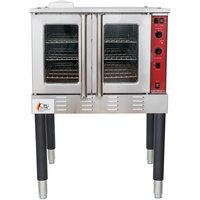 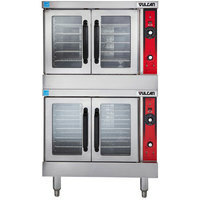 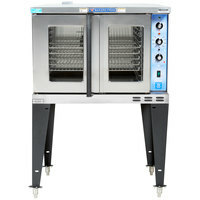 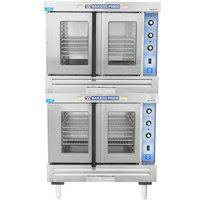 We offer a restaurant convection oven in single or double deck models so you can keep up with your volume of orders. 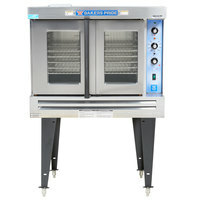 Ideal for bakeries, restaurants, and cafeterias, a commercial convection oven will cook large quantities of food quickly without sacrificing quality. 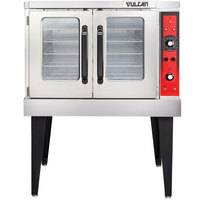 Breads, muffins, and other goods will bake consistently with a flaky, crispy crust, while meats will cook evenly and remain tender and juicy. 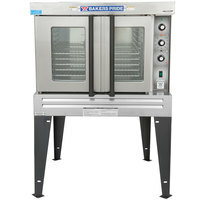 We also offer cook and hold models to slowly roast meats and keep food at optimum temperatures in between servings. 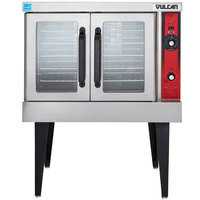 Choose from ovens with glass or solid doors to customize your ability to watch your food as it cooks.